Links in this post are affiliate links and I do earn a small commission if you shop using my links. Thanks in advance if you decide to use my links. 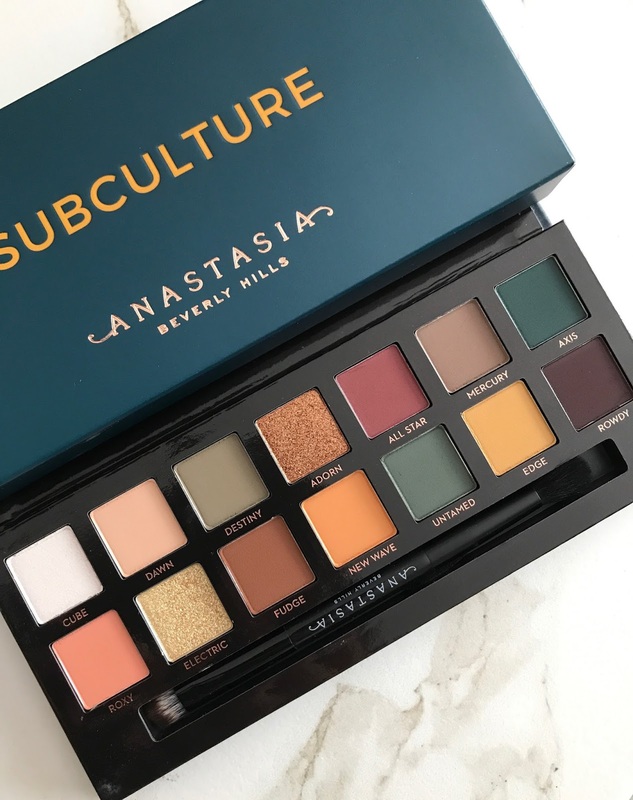 The drama of the Anastasia Beverly Hills Subculture Eyeshadow Palette has been real. If you're on social media then I don't have to tell you about the tumultuous launch of this palette. I won't rehash the whole drama here and will instead give you my thoughts and review of this palette. Let's start by telling you how excited I was for this palette to launch. 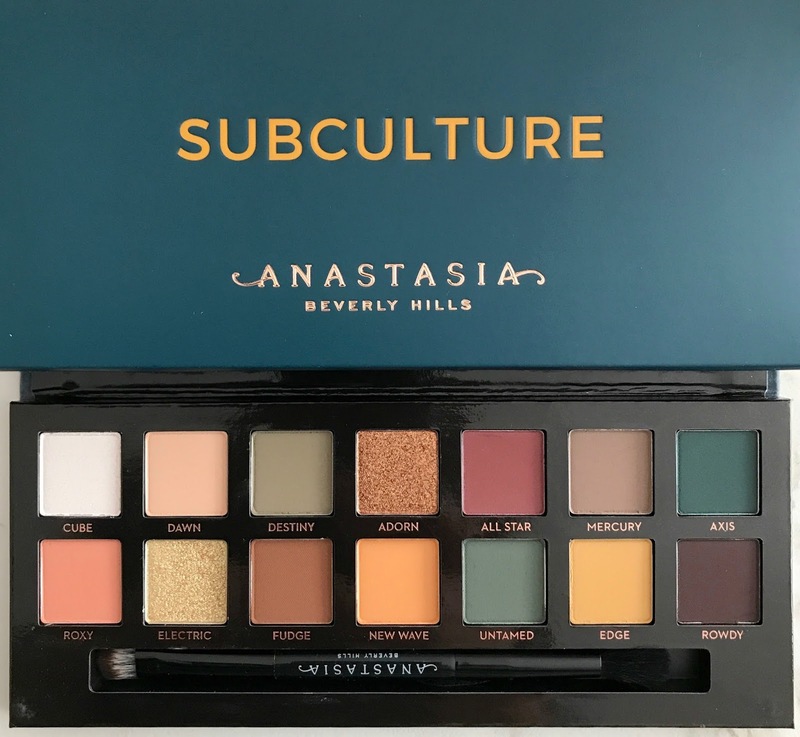 From the minute that I first laid eyes on Subculture I feel deeply in love. 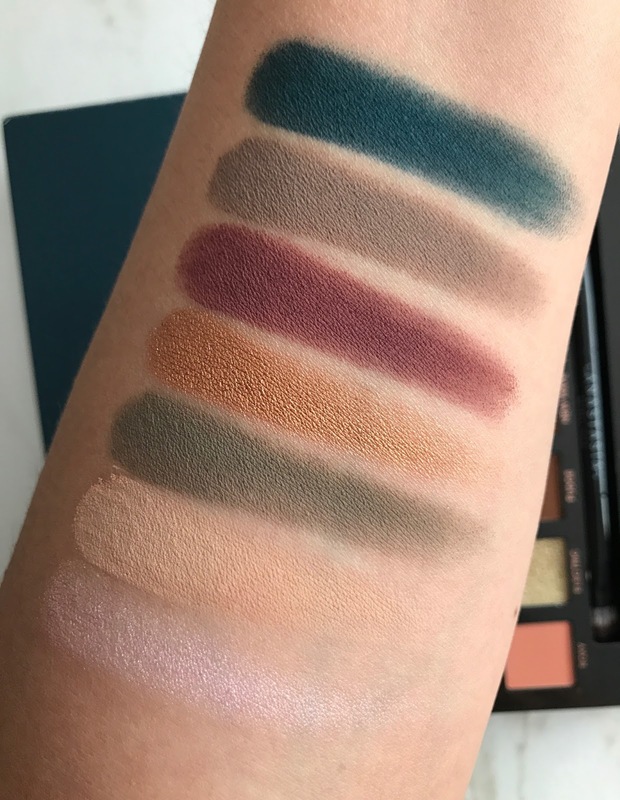 The shades in this palette, for the most part, are some of the coolest shades I have ever seen in an eyeshadow palette. To me this palette screams urban coolness, it's shades are deep and grungy and perfectly my style. 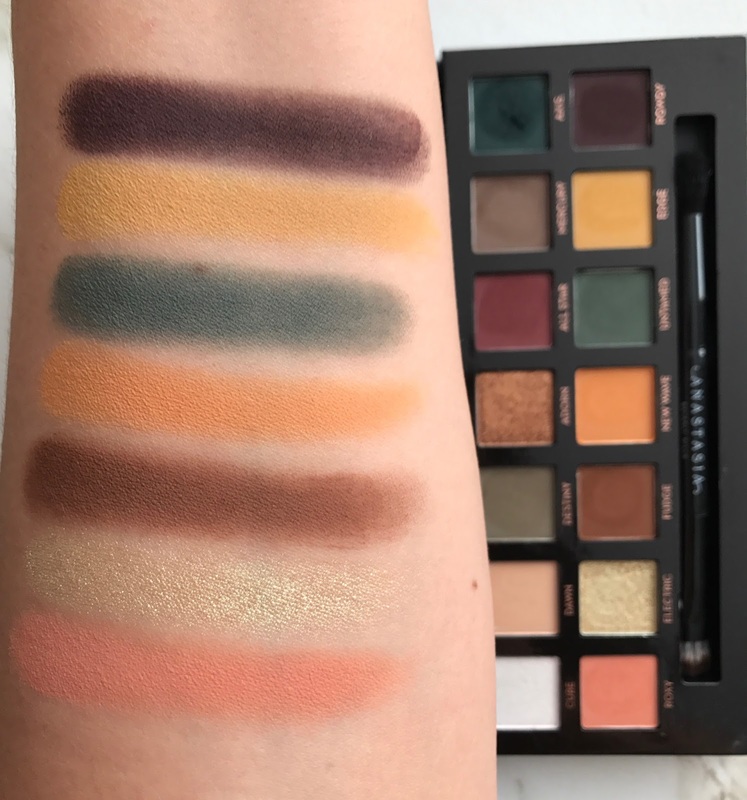 I do own the previous five ABH eyeshadow palettes and could not wait to get my hands on Subculture. 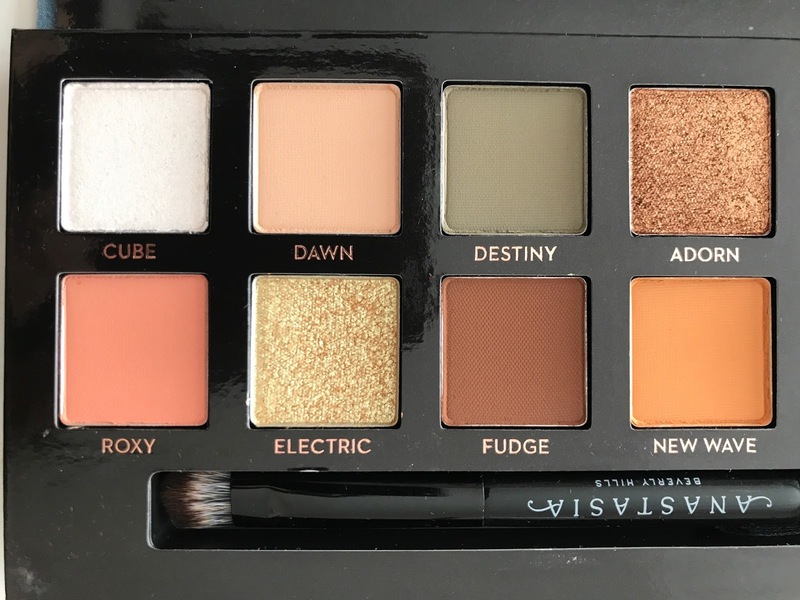 Anastasia Beverly Hills Subculture Eyeshadow Palette in all her glory. These photos do this palette absolutely NO justice, in person it's so much more beautiful. The only shades that I think don't match the palette are Cube and Electric and they are def not my favorite. But I kinda love all the other shades, some more than others like Destiny, Mercury and All Star (those be my faves). For reference my favorite ABH palette is their Artist Palette from about 4 years ago. Now Subculture has taken the #1 spot. But what about the formula? Let's check out the pigmentation first. 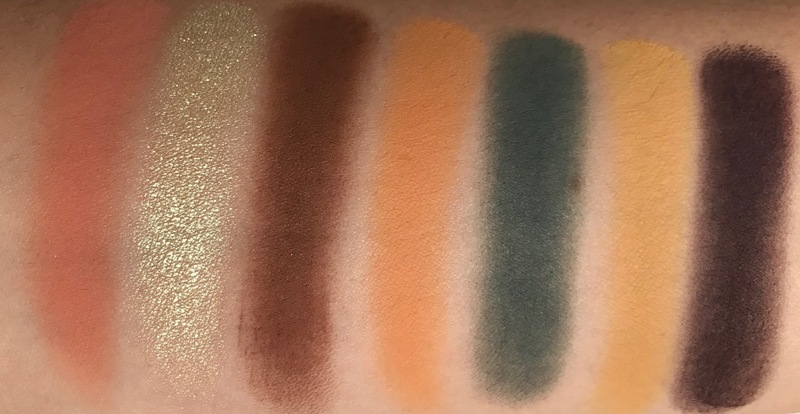 I've swatched so many palettes in my day and yet I have never seen pigmentation like this. When I swatched these on Insta Stories and Snapchat, I could not get over it. This is like jaw hitting the ground pigmentation. It is OFF THE CHAIN! Cube and Electric are not as pigmented as the rest of the palette but Cube does build up nicely. At the end of the day I could do without these two shades and would have loved two different mattes. As for the mattes, the only one that I found that felt weird on swatching and at all troublesome is Fudge. I own Fudge in another palette and it's perfectly easy to work with, but the one in this palette is a little more dry and difficult, plus quite different in color from the original. But swatches are one thing - the real test of this palette is how it wears on the eyes and for me the experience has been positive. Yes, Subculture is very soft and you get a lot of kickup when putting your brush in the pans. But my Modern Renaissance is super dusty too, so much so that I have always shared that I have to store it flat so the excess powder in it won't mess it all up. What about the patchiness factor? As of now I have experienced no patchiness or funky blending when applying these shadows, and yes I have used the dark shades. I've also not had trouble with the shades muddying up into each other. Did I get lucky or just get a good batch? IDK! As for the fall out- I find that if I dip my brush in a rolling motion into the pans, I get less kick-up, and have in fact seen very little fallout on my face, without tapping the brush. I don't like to tap off such pigmented shadows so I prefer to roll my brush in the pans and not dig into the pan. I have always been gentle with my makeup, so this is not a new concept to me. The only issue I have ever had is that because the green shades are so pigmented, you have to make sure to brush off the fallout before going into your under eyes with concealer, even if it's only a tiny bit . Yesterday I forgot to brush off the little bits of Axis that were under my eye and soon I had what looked like a black eye. That was fixed by adding more concealer but next time I will be sure to brush off any fallout. 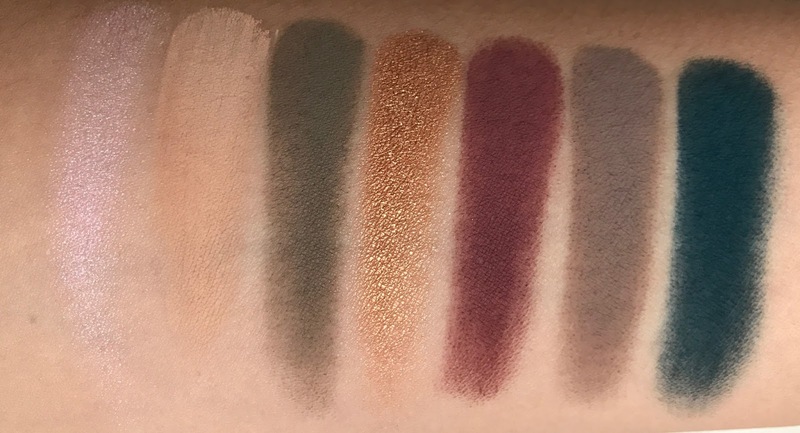 I'm not an eyeshadow expert, and the look that I have come up with using this palette are probably extra grungy and not to everyone's taste, but they are exactly the kind of eye looks that I love. 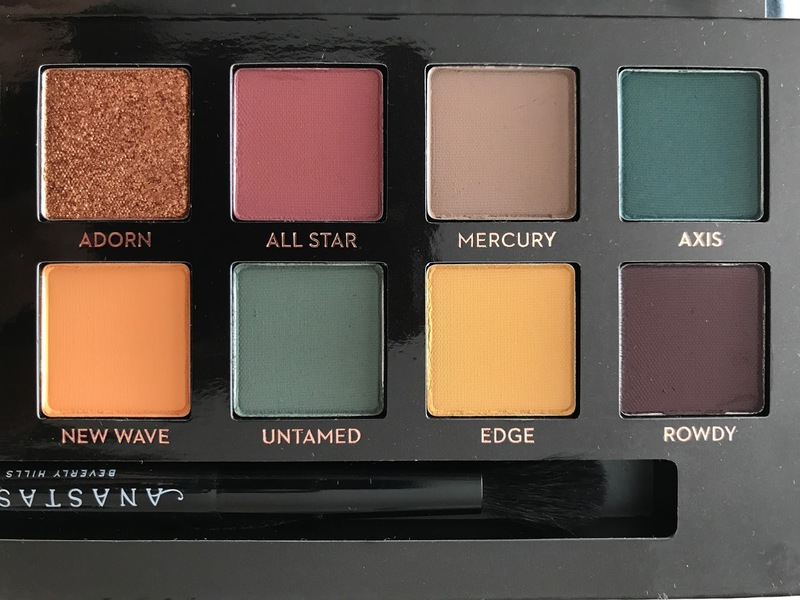 I am absolutely smitten with this palette and it does have a lot to do with the fact that these shades are so up my alley, if this shade selection was different I probably wouldn't love it as much as I do. 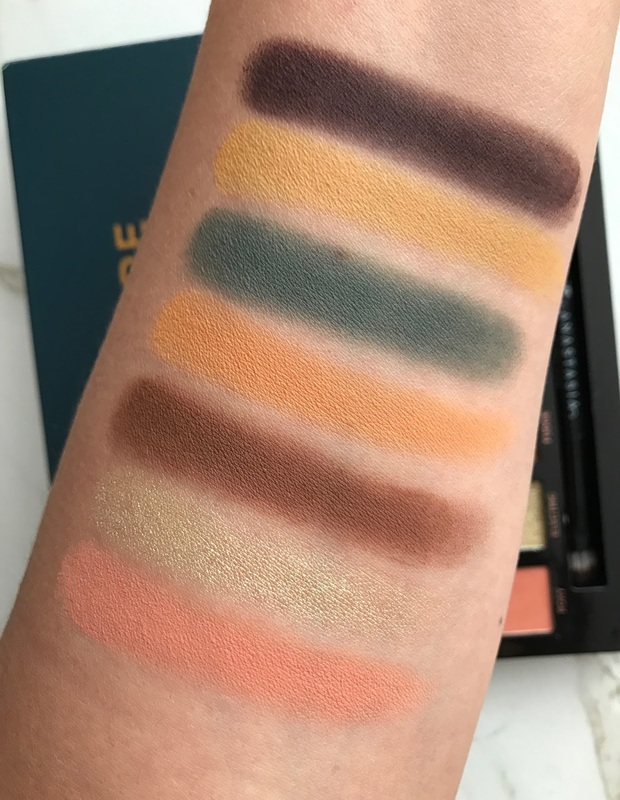 While I know that many people have had problems with this palette, this has been my experience with Subculture and I mean to discredit no one. This is why I always say it's so important for each person to try out a product, no matter how many reviews you have seen. Ultimately, it's up to you to see if you're willing to work with something or not. 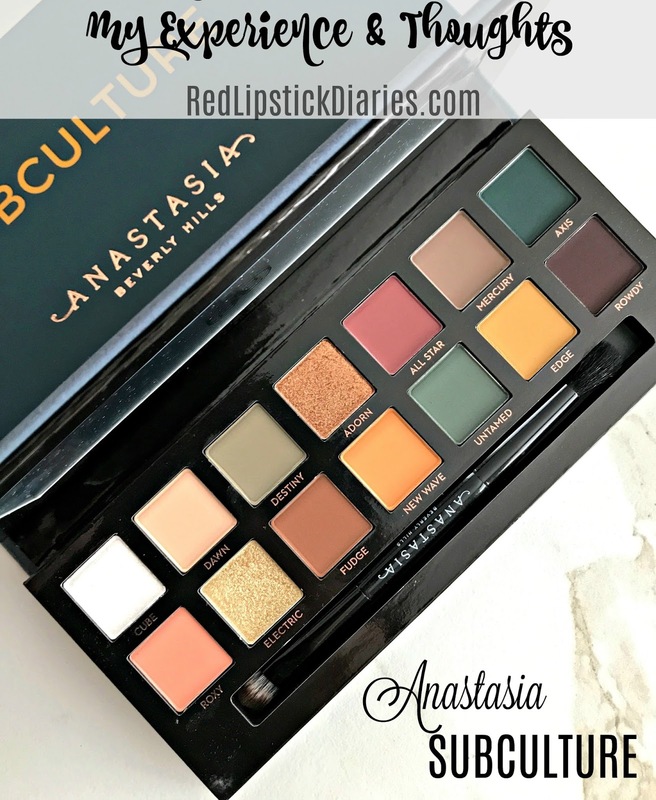 ABH palettes have always been a little finicky for me, but because I love the eyeshadows in them, especially in this pallet, I was willing to take on a problematic formula but for me the formula has been just fine. Do I suggest you purchase this pallet? Absolutely! If this palette has been calling your name, I definitely think you should buy it. If anything is wrong with it or you don't like it, simply return it. At the end of the day you won't lose anything. 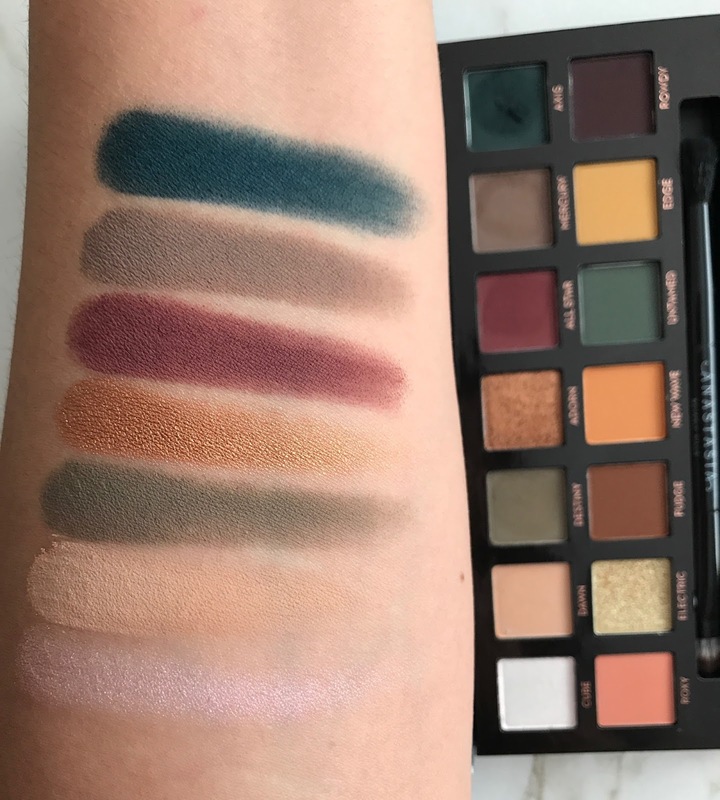 I purchased My ABH Subculture Palette for 20% off at Ulta, using a coupon they sent out a few weeks ago. The regular price of the palette is $42 and you can find it at Ulta and Sephora.